This weeks Photo Wednesday was taken at home. 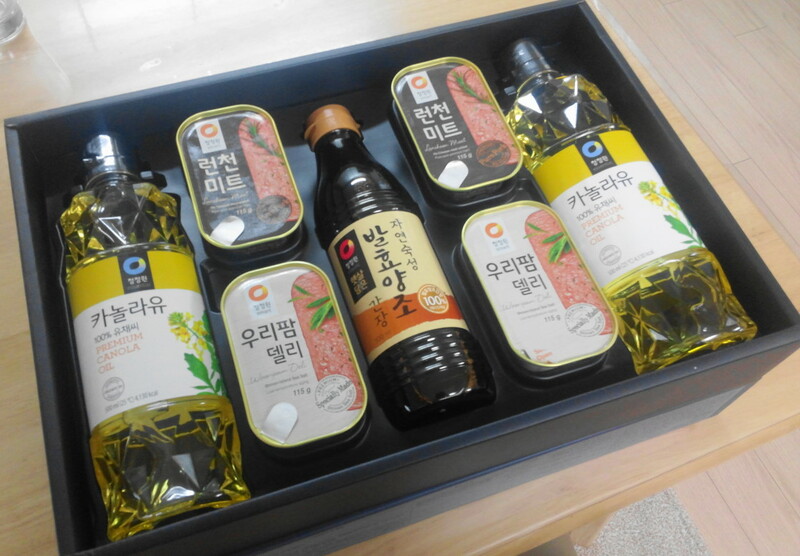 This photo is of Chuseok (추석) Gift Set, these type of gift sets are normally exchanged by family and friends as well as given by companies to staff. This set is a pretty standard spam, soy sauce and cooking oil set, but there are also other food sets, fruits, toiletries, coffee and more. Last weeks Photo Wednesday “King Crab for Sale” Please Click Here. Spam gift sets were one of the things that made me fall in love with Korea when I first arrived. Long live the Chuseok spam gift set!